Lighting refers to the practical use of light so as to create a practical effect. It includes the use of both artificial light sources such as lamps and light fixtures to create natural illumination by capturing natural daylight. They play an influential role in enhancing décor of homes, commercial outlets, and gardens. Because of growing concerns over global warming, people around the world have started adapting to the use of LED lights. To help them build an energy efficient future, Moglix has come up with a new range of home, industrial & commercial lighting products online. The industrial setting of any business has different types of work space. There are warehouses, outdoors areas, meeting rooms, workstations, halls, offices, representative rooms & corridors areas. The type of industrial LED lightings used across these rooms tends to differ. As a dealer in commercial & industrial LED lighting fixtures, we deal in a wide range of lighting systems which can be used for illuminating offices, plants and industrial areas. Our range of lighting products also includes exterior lighting, indoor lighting, antique lighting, electric lights, industrial emergency lights etc. which can be proved to be vital during emergency situations. They will make sure that the staffs do not remain in a fix during power cuts. 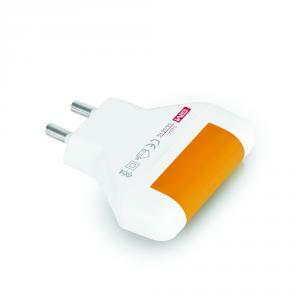 The usage of LED bulbs within the room ensures that companies can cut down their energy costs. Our light bulbs have a die cast aluminium fixture. They ensure stable power supply. They can also be retrofitted in existing fixtures. These bulbs come with a lifespan of 2 years. We also deal in digital light meters. They come with an inbuilt precision photo diode sensor and color correction filter. The digital light meters have a large LCD display with a 40-segment analog bar graph. To cater to the growing demand for LED lighting fixtures, we procure products from trusted brands such as Syska, Wipro, Bajaj, Oreva, Orient, Orpat, Panasonic, Philips, SuperDeals and Philips. Portable lighting sources are available as a part of the category. 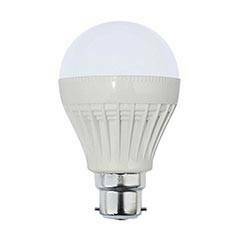 We envision to create an energy efficient future with highly durable LED lights. To create a lasting impression on neighbor and guests with unique lighting fixtures, select from the new collection offered by Moglix. The quality of outdoor illumination plays an influential role in enhancing the look of a home during festive seasons. LED panel lights, flood lights, street lights are highly suitable for use in outdoor lighting because of their slim look and high level of power efficiency. The outdoor lights available at Moglix offer good light distribution. 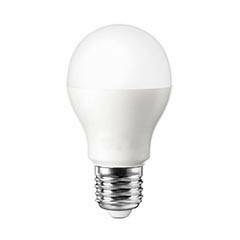 The LED bulbs that we are offering as a part of this collection are free from harmful substances like mercury and lead. Therefore, they do not cause UV or IR radiation. Available in a wide range of colours and shades, they produce glare free light and can help users in making a high level of energy savings. These LED lighting fixtures have been sourced from brands like Havells, Syska, Bajaj, Bluebird, Citra, Compact, Cona, Cona i-connect, Crompton, Surya, Syska, Tucasa, Urja Lite, Wipro, Wipro Garnet etc. The downlights that we have on offer are resistant to voltage spikes. They can be turned on and off periodically without having a great impact on their lifespan. 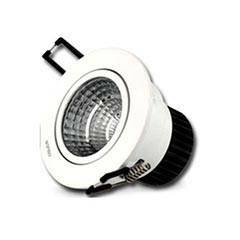 The LED down lights offered by us have a lower temperature in comparison to halogen lights. Low heat generation will help users to reduce the dangers of accidental fires. Come, select from the vast range of outdoor lightings that are available at Moglix. The way people decorate their homes during festive occasions creates a good or bad impression in the minds of the people about their aesthetic tastes. To cater to the changing needs of customers, we are offering a diverse range of lights for home. 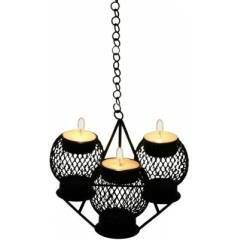 The decorative lights that we are offering online as a part of this range includes strip lights, floor lamps, table lamps, night lights, pendent lights, wall lamps etc. which can be easily installed in the living room or bedroom. They offer warm, glare-free light and are impact resistant. Available in a wide range of shades, they will help in creating an inviting ambiance within the room. The floor lamps available online at Moglix, on the other hand, are ideal for those homeowners who want the interiors of their home to have a contemporary look. The floor lamps that we have on offer create warm, golden light. 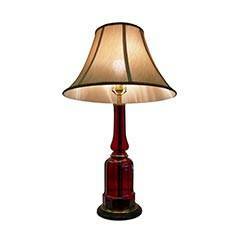 The brass lamps available as a part of this collection are best suited for creating a vintage look. The LED string lights that are available at Moglix are multicolored and can be easily be installed in any part of the home because of their light weight. Decorating one’s home during festivities requires a high level of imagination and creativity for any individual. To make festive decorations a less time to consume and hassle-free task, Moglix, one of India’s leading online lighting stores has come up with a wide range of decorative lighting. The ceilings and wall lights that we are offering as a part of this range have been sourced from Bajaj, Claire, Albright, Crompton, Decorex, Eveready, Forus, Havells, Noble Electricals, Oreva, Orpat, Panasonic, Philips etc. The tube lights we have on offer have a tubular shape and can be installed indoors. Spotlights are ideal for use in illuminating passages and have a far greater average life as compared to normal lights. They have an excellent colour rendering index. These lights are mercury free also. The panel lights which we have on offer are suitable for illuminated display and are therefore widely used in interior lighting. The spotlights that are available here are best suited for use in are circular shaped and are viable lighting solutions to incandescent and halogen lamps. They will add glamour to your room during the upcoming festive season and make it the center of people’s attention. A garden is a place which is often used for family get-togethers. This festive season, create a warm ambiance around your garden using gardening lights. The lighting fixtures which we offer as a part of this subcategory are highly impact resistant and dimensionally stable. They have a high durability and will illuminate the bushes, trees and shrubs around your garden and create a warm atmosphere. We are also offering porch lights as a part of this collection. 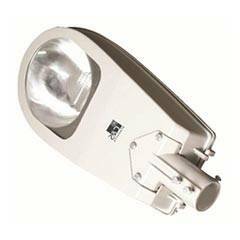 LED footlights are best suited for use in passages, staircases, and driveways. To decorate these areas of your home, you can also select from the floodlights available in a wide range of colours offered by top brands at Moglix. The lightings which we are offering as a part of our collection are can be installed with ease in theaters as well. Therefore, they are widely used in stage lightings as well. These lights are vibration and shock resistant. The mounting bracket can also be used for direct surface mounting or reversed and used for chair hanging. They are therefore highly valued by home based users. This festival session, give your home a lively, new look with LED footlights. The living room is the place where people spend their time with their family or welcome guests. Track lights can be used as a series throughout the living room. They are ideal for installation in all types of ceilings. However, people who have a lower ceiling should ensure that the living room lighting fixture they are using isn’t too harsh for their room. Chandeliers and pendants are best suited for taller ceilings. Buyers can pick which height is ideal for your lighting needs. Chandeliers should be placed lower in areas which people won’t be walking close to. They work best in foyers and over the tub within bathrooms. Lamps can be placed in desks, coffee & bedside tables to create extra light for working. Swing arm lamps can be adjusted to create the type of lighting the user prefers. They are highly portable and are perfect task lights. Why Buy Lighting Fixtures from Moglix? At Moglix’s online lighting stores we are well aware of the lighting trends that are popular in homes and commercial outlets. To meet up with the changing needs of buyers, we have sourced lighting products from leading brands in the market such as Havells, Syska, Bajaj, Crompton Greaves, Halonix, EGK, Eveready, Homes Decor, Kent, Khaitan, Legrand, Microtek, Noble Electricals etc. Therefore, buyers can adapt these illumination sources with the existing lighting trends within their properties with like LED lights, decorative lights, ceiling & wall lights, lamps, led bulbs, normal light bulbs, portable lighting, & other lighting accessories. Bring your property back to life with the brand new lighting we have on offer.